World's Oldest Wooden Building, is a five-story pagoda, part of Hōryū-ji (Meaning: Temple of the Flourishing Law) Buddhist temple complex in Ikaruga, Nara Prefecture, Japan. The temple complex was completed in 607 AD. As per tree-ring dating (Dendro-chronological analysis) the wood used in the central pillar of the pagoda is estimated to have been felled in 594. 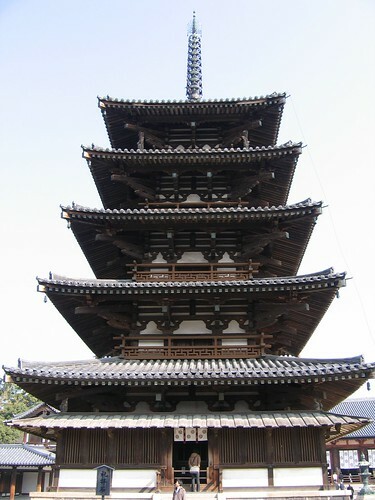 The pagoda has a height of 32.45 meters (122 feet) and its base is about 6.1x6.1 metres (20x20 feet) square. 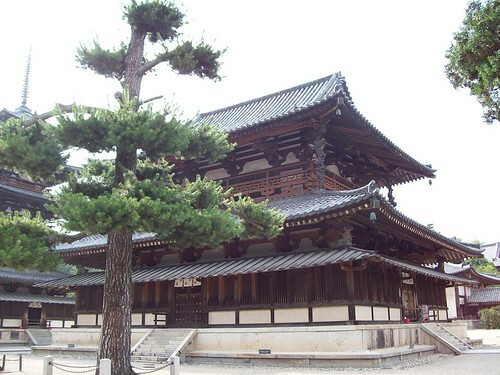 The main hall of the the temple (kondō) which is located side-by-side to the Pagoda is widely regarded as the second oldest wood building extant in the world. The hall measures 8.5 meters by 15.2 meters. Extensive damage was caused to this old structure due to fire which broke out on January 26, 1949. Although it has been reconstructed it is estimated that about only fifteen to twenty percent of the original seventh century Kondo materials is left in the current building. Due to this unfortunate fire damage and subsequent restoration the main hall is considered as the second oldest and the Pagoda is considered to be the oldest wooden structure in the World. It is also listed in the Guinness World Records. 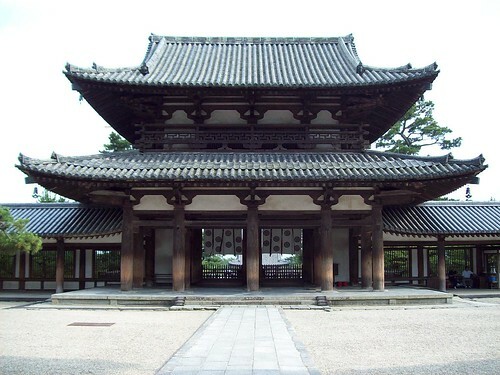 In 1993, the complex was included in UNESCO World Heritage Site and a National Treasure of Japan.